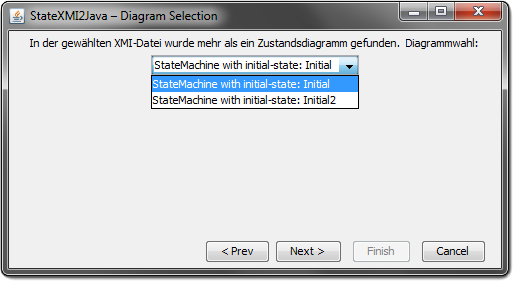 StateXMI2Java is a Java code generator which can generate code from statemachine diagrams in XMI files. 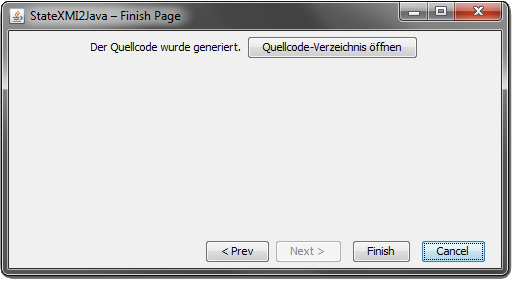 Only tested / working with XMI files exported from Visual Paradigm right now. Works with XMI v2.1 files. 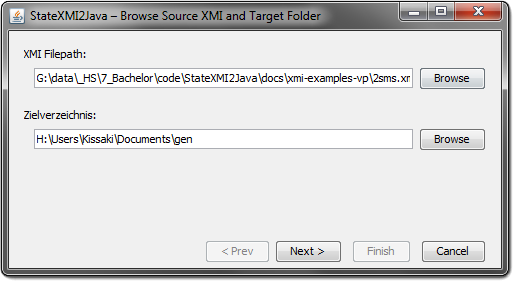 Screenshot of StateXMI2Java Wizard page 3: Generation complete! Simplified UML class diagram of generated code.